Designer Vertical Radiators 2019– THREE Reasons to Consider, Need More? 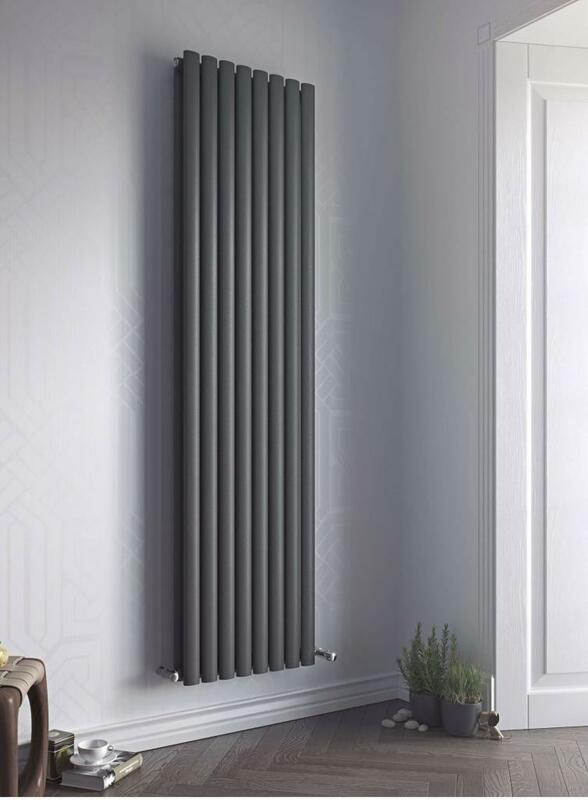 Vertical designer radiators 2019 offer a vast range of benefits to those who treat themselves in their homes. Because of the modern and attractive appearance of tall radiators, the different types and sizes to match any room. Any radiator, any design, including everything from sleek and contemporary to a more traditional style. Now available at the online radiator store at lowest ever price. 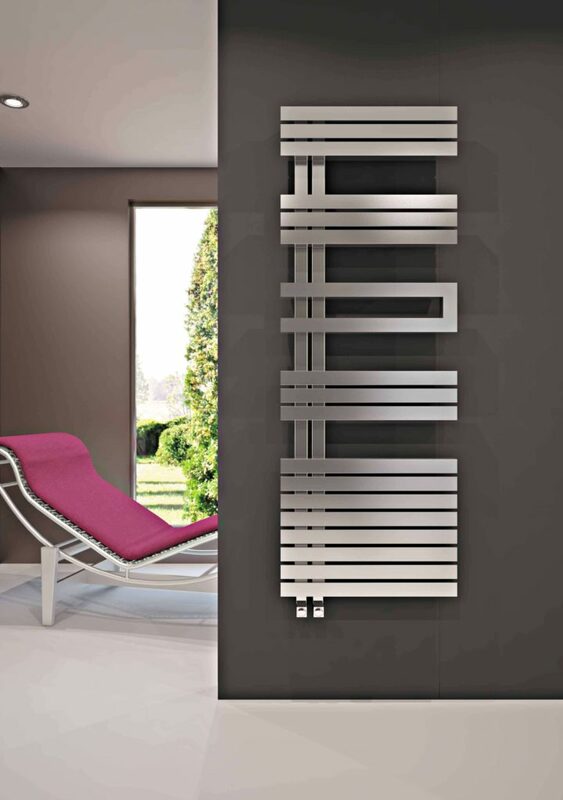 Browse the vertical radiator collection and you will soon discover you cannot afford to live without one! Vertical Radiators are exceptionally efficient and heat responsive. Save a vast amount of money on energy costs in the long run. Meaning you will receive your investment back much faster. Radiators are required to keep warm and comfortable households. However, this is no reason to settle for bulky, often unsightly radiators of the past. Choose a new slim up right one to take you through to the future. It will come as no surprise that a designer vertical radiators allows space saving. To save a large amount of floor space, will no longer be limited to just to the floor based rads from the past. Also now radiators can now be able to be fixed to wall. This opens up a lot of different ideas for the room in question. These new and improved models are slim, aesthetically attractive, and provide high performance. This will allow the position of radiators anywhere inside the room without lowing the heat out put. 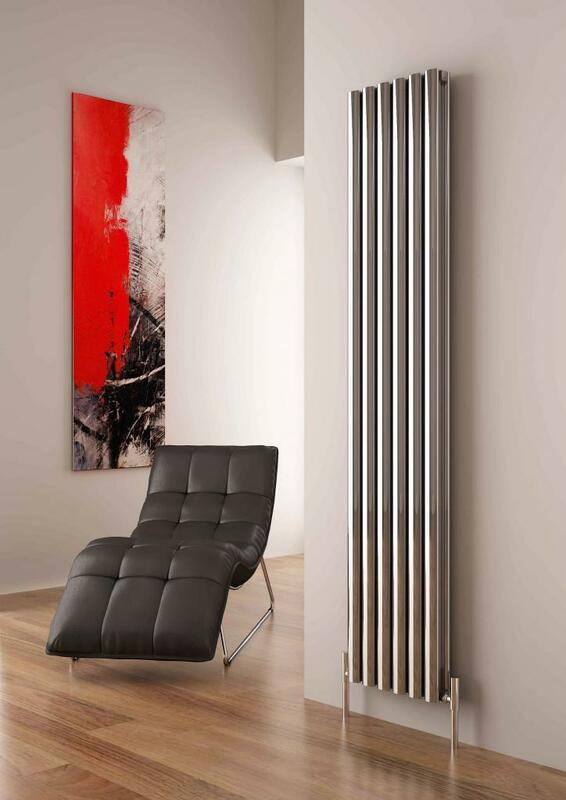 With a wide range of designs to choose at The Designer Radiator Company. Modern vertical heaters are exceptionally thin. The area which once housed a traditional heater could benefit from the addition of an armchair or perhaps a new TV. 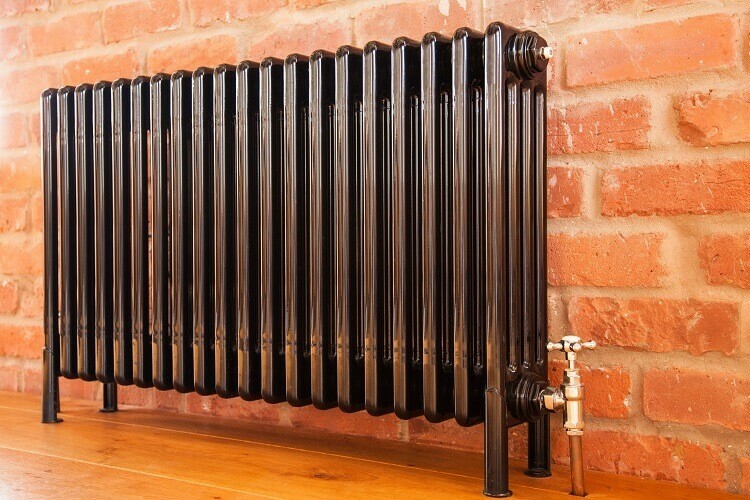 Radiators have had the same shape and style for many years. But recently the radiator industry has come up with new designs. New designs are perfect and can suit any home or work area. For example dark furniture and light walls, hence a dark coloured radiator would suit. To conclude adding a tall thin radiator opens up a lot of new options! The new and improved designs are fantastic! With a choice of heater to fit any room decor instead of the other way around. Also now get the chance to show off styles and tastes to guests on visit. Feature walls have been replaced with feature designer vertical radiators. Once changes are finished on any part of home, a new tall radiator will complete the look. For any room with minimal cost compared to other style additions. Having a vertical radiator present will set a warm yet strong focal point for any room. 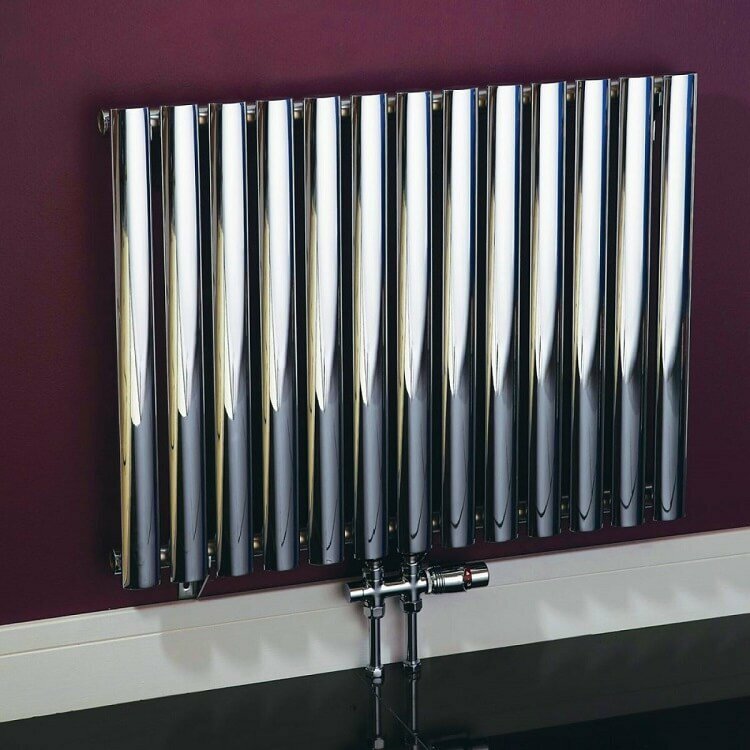 Some guests may not even recognise it as a radiator due to the modern and beautiful design. Please feel free to browse the website, the help team can called or contacted on the messenger. If you have any questions or queries, do not hesitate to call on freephone 0800 009 6633. The team would be delighted to answer any questions and help select the right radiator. Most of the designer radiators are available on next day delivery if ordered before 1 p.m. CALL The Designer Radiator Company FREE on 0800 009 6633. 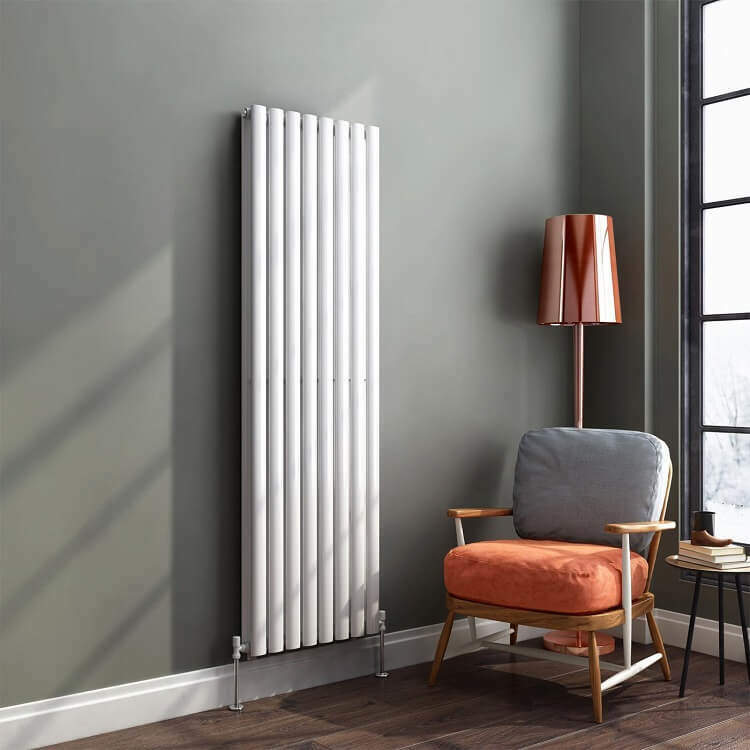 Online Designer radiators have become a huge part of 2019 UK radiator sales! No longer just in the bathroom but throughout your stylish home. Here you will find the most up to date designs.To give your room or work-place the finishing touch. If you are looking for the sylefactor you’ve been looking for and ranges that wouldn’t look out of place in any room in the most exclusive penthouses. With beautiful designer contemporary radiators and traditional bathroom heated towel radiators available. We even match the valves to suit, to fully complete the look. Any help you need, just contact the team so that they can help you. Where space is a concern, we have vertical options available that are ideal for small spaces. Also in living rooms and kitchens as well as bathrooms giving you the heat required without compromise. Please feel free to browse the website, customer services are available on the messenger. if you have any questions or queries, do not hesitate to call us on freephone 0800 009 6633. we would be delighted to answer any questions and help you in your selection. Most of the designer radiators are available on next day delivery if ordered before 1 p.m. The Designer Radiator Company are delighted to add the Termaheat Designer Range to our ever-expanding deluxe radiators range. Terma has a wide selection of designer vertical radiators, designer horizontal radiators and designer heated towel rails. Terma is a manufacturer of bathroom and designer radiators, they also manufacture electric heating elements. Termaheat have over 25 years of experience serving consumers in more than 40 countries on 4 continents. Terma radiators encourage you to view a list of our Trade Partners. They can give you professional advice. They also help in selecting the best radiators. The Designer Radiator Company is a key supplier of Terma. Therefore you can purchase our radiators directly from us or order custom items. Huge range of designer vertical radiators UK are now available at the designer radiator company. From vertical white radiators to black and every colour in between. Firstly one of the great things about Tall radiators is that they are very space efficient. Secondly the double tall radiators pump out much more heat. Compared to the traditional horizontal radiator there is no competition. Tall radiators both look great and perform even better! With these type of radiators, they are so stunning! Now replace feature walls with feature radiators. Bringing an air of style to any room that you desire. The designer radiator company also has different colours and styles available. Hence if there is a certain colour that you would like. Simply contact the team and will happy to help. Radiators do not just come in white and black. Now every colour between are available online. Please feel free to browse the website, the help team are available on the messenger service. If you have any questions or queries, do not hesitate to call us on freephone 0800 009 6633. The team would be happy to answer any questions and help you in your selection. Most of the designer radiators are available on next day delivery. But to make sure if order before 1 in the afternoon. Many thanks from all the team at The Designer Radiator Company. The team is available from 9 to 9 every day! So don’t worry if this is a first time buy. Most of the team have ben with the company for years. So there is no silly questions to ask. Just call or message and we will try and answer your question. DIY Time is upon us! paint brushes are out kick off this spring with a quality designer radiator for your living room, bedroom or bathroom and we’re giving you 5% OFF with code spring5 towards any purchase. Keep your bathroom warm and keep your mirrors steam free with a heated mirror or add a focus to your living room with a feature vertical radiator in a range of colours and finishes. Popular colours this year buttercup, lilac / grey and green would compliment an Anthracite or white designer rad. Style tips – supersize any bathroom and towel rail go for a large unit vintage styles offer symmetrical flowing designs choose a towel rail with ball sphere joints and don’t be afraid to choose a copper or chrome colour compliment white crisp towels and sanitary ware. For home and living room choose a slim line radiator with separations black is particularly s striking with primary colours. Hot on trends we have all the latest styles and finishes in fashion for 2018 our chosen suppliers use quality engineering and the best manufacturing processes. Get the most from your designer radiators with an aluminium made radiator offer both increased efficiency and lightweight. Because we can supply radiators in your choice of colours and dimensions, you can be sure that the heating appliances you purchase from us will be ideal for your home or commercial property. If you are not sure what style of designer radiator to install in a particular space, please feel free to contact us and speak to a member of our team about your requirements. We have a great deal of experience working with both private and commercial customers across the country and would be delighted to help you find the best radiators for your needs. Whether you are shopping for a radiator to install in your living room, bedroom, bathroom or office, we have the perfect model for you. From chrome designer bathroom radiators that will keep your towels dry and warm, to beautiful horizontal radiators with a textured finish that will blend in with almost any type of décor, our range includes heating appliances that will look great in a wide variety of environments. To find out more about our standard range or to enquire about custom fabricated designer radiators, please do not hesitate to call and speak to us during business hours. The radiator is a standard home appliance that is used for heating various rooms in the house. 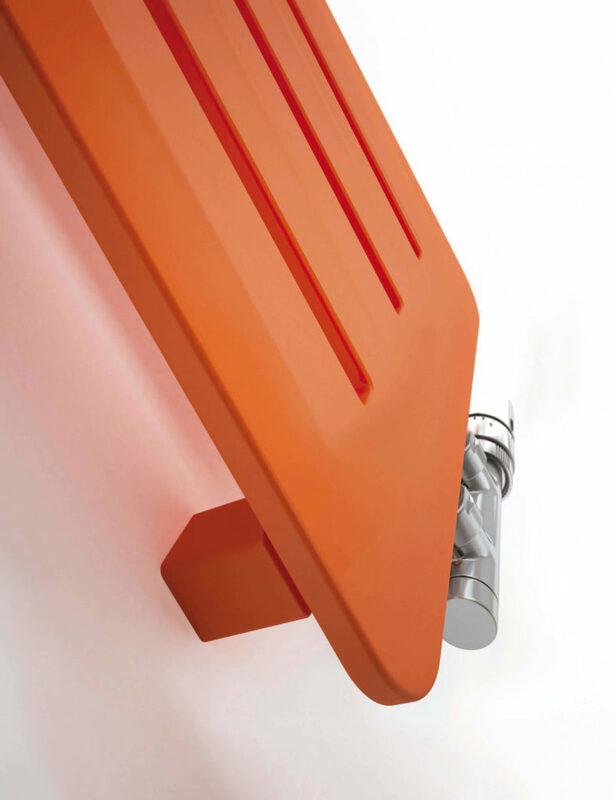 As the name suggests, a radiator is designed to radiate heat into the environment. A heater is an exchanger that transfers heat from one medium to another. They are commonly used in houses, automobiles, as well as specific electronic items. 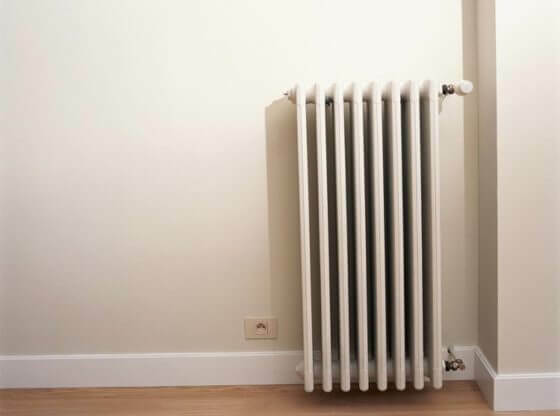 Radiators can either be used for warming the environment, or for cooling the fluid that is supplied into the radiator. Rather than rely on thermal radiation, most heaters transfer most of the heat by using convection. If you are in the market for a new radiator, there are numerous options available. The Designer Radiator Company is famous for producing a broad range of various heaters, many of which are available in stylish designs. However, if you are in the market for a new radiator, there are a few things that you need to know. Here is a brief guide to buying a new heater for your place. 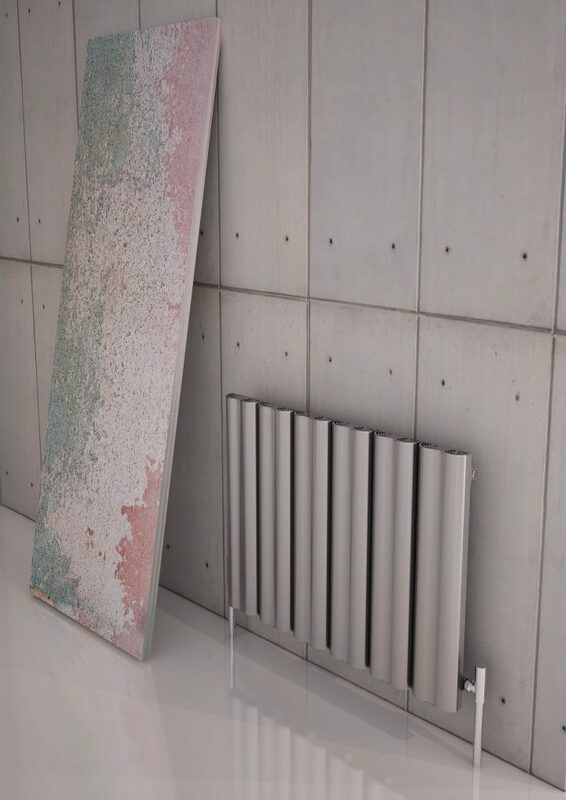 Stylish: Aluminium radiators are available in many unique designs, so you don’t have to worry about an ugly appliance sitting in your stylishly decorated room. Energy Efficient: These heaters are also quite energy-efficient and use much less energy when compared to conventional radiators. Trench heating: If you have glass walls or bi-fold doors in the house, trench heating offers a decent solution, especially in homes where wall space isn’t freely available. Modern radiators are available in a multitude of various designs and styles. Before you buy any heater, you should visit the company’s showroom and browse through the many stylish options that they have available. You can buy them in many different colours and unique designs to make them a part of the room. If wall space is not available, you can also place the radiator on the floor with a stylish stand. There are many promotional discounts on offer from time to time, so you can take advantage of those as well to get a hefty reduction in the final price. These are some basic tips for buying a new radiator.